Get yourself entered for the microphone giveaway drawing. Thanks to everyone for helping build this community where we focus on lighting and sound for video. Get yourself registered at the link above for the chance to win a Deity S-Mic 2 shotgun microphone. This is my favorite shotgun mic in the $350-ish price range and definitely a great mic for any filmmaker's kit. And here's to 100K more joining our community! 05:12 Which software to use for editing, mixing sound? 07:49 Can you use the F8/n as audio interface with F-Control? 12:27 Default settings for Sennheiser G3? 13:37 Can you link the Zoom F4 & F8 to operate as one? 14:56 How to get “Radio Voice” with Audition? 18:07 How does the FCC frequency allocation affect you? 20:17 How does Sennheiser MKH416 compare to newer shotgun mics? 25:11 Dealing with ventilation/refrigerator that cannot be turned off? 27:41 How did I get a killer deal on these old Lectrosonics wireless kits? 30:40 How to mount timecode generator to camera? 33:55 Are vintage mics overrated? 36:50 How do you get audio to a director? 37:18 Recommendation for enthusiast wireless mic systems? 38:52 Is the Tascam DR-60DmkII still a worthwhile purchase? 40:56 I do both music and film sound, should I get the MixPre-10T or 10M? 42:27 Zoom F8: How do I keep the settings I make on the app? 43:45 Zoom F8 5.1 firmware update: What’s new? 45:00 How to record iso channels on MixPre-6? 45:39 Recommended recording apps for iOS? 47:38 How to setup the dbx 286s? 48:41 Is Izotope RX worth its price? 51:00 Which frame rate settings do I use for timecode? Zoom F8n eight channel audio recorder/mixer. One of my favorites. Paid my own hard-earned money for this thing. Zoom F4 four channel audio recorder/mixer. Basically the same as the F8n but no app control, monochrome screen, and bigger knobs. Paid my own hard-earned money for this thing. AKG C414 XLS - used to record today’s session. I was recovering from a cold at the time, so this isn’t the best representation of the sound possible with this mic. We’ll do another demo with it once my voice is back to normal. Sound Devices 688 - Pro level audio recorder/mixer. 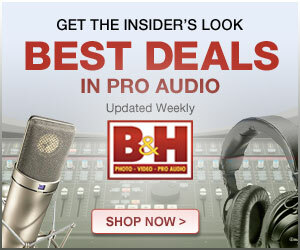 It is the price of an older used car but a good buy for those doing paid production sound work. Sound Devices SL6 - add on wireless receiver slot system which simplifies powering and using larger antennae for multiple slot-in wireless receivers from your sound bag. Sennheiser MKH416 - Tjhe legendary shotgun microphone for film & TV production. Sound Devices MixPre-3 - great little recorder from the company that makes amazing pro-level audio recorders. But this one is a lot more affordable. 3 mic inputs, analogue limiters. Sound Devices MixPre-6- great little recorder from the company that makes amazing pro-level audio recorders. But this one is a lot more affordable. 4 XLR mic/line inputs plus a 3.5mm stereo input, analogue limiters. Sound Devices MixPre-10T- great big recorder from the company that makes amazing pro-level audio recorders. But this one is slightly more affordable. 8 XLR mic/line inputs plus a 3.5mm stereo input, 2 balanced and 2 unbalanced outputs, analogue limiters. etc. Great recorder. My favorite sub $2000 USD option.